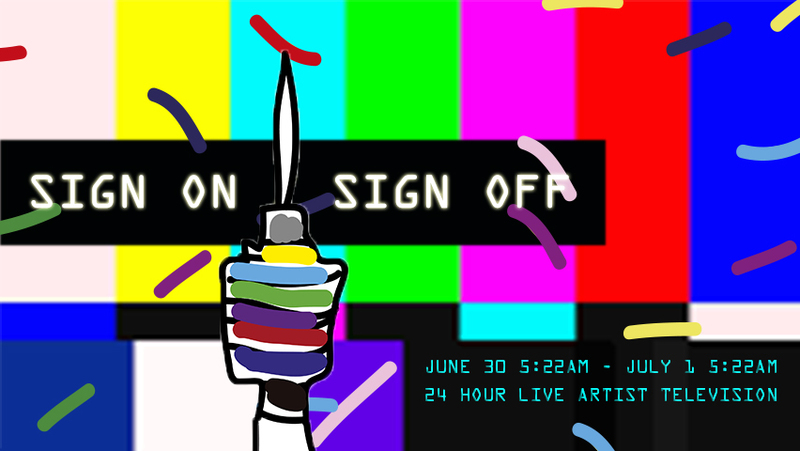 Sign on / Sign off is a live streaming event of artist made "television" taking place at the Merz Akademie in Stuttgart, Germany on June 30, 2017. The 24 hour “television network” will combine live performance, with remote broadcast and pre-recorded moving image content. Sign on / Sign off will re-interpret the images of our collective identities through the lens of conventional media, using the structures of a full commercial broadcasting day as a platform for creative production and exchange. 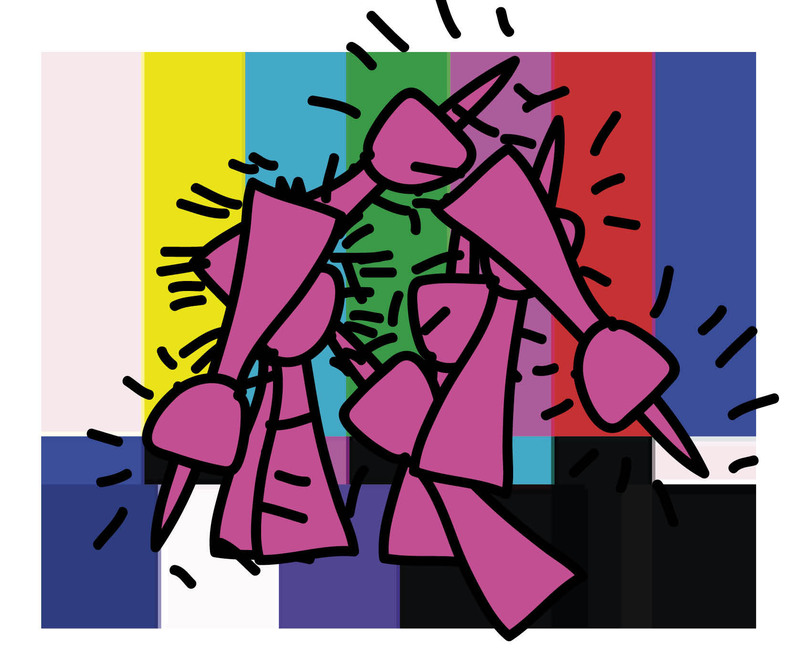 Sign on / Sign off is seeking experimental moving image content to be programmed on our "tv network". We are interested in works that respond to, interpret or re-imagine the structures of television, media or entertainment. Artists and filmmakers contributing to our stream will be listed on all final promotional material for the event both print and online. The event will stream live from sunrise (5:22 am) on June 30 to (5:22 am) on July 1. Sign on / Sign off is made possible by the Merz Akademie and with support from the DAAD (German Academic Exchange Service). This event is a public project organized Maura Jasper and David Quigley. Duration: 60 minutes or less. Format: Link to complete video. Vimeo is preferred, all works must be downloadable online if accepted. Please include a statement about the work if it is not online, a cv, or link to your website.